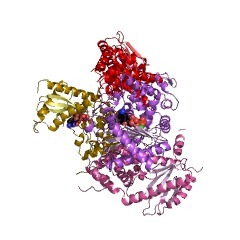 This entry represents the DZF domain, which is found exclusively in the metazoa. 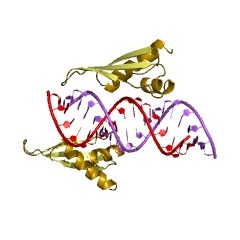 Vertebrate nuclear factor 90 (NF90, also known as ILF3, DRBP76 or NFAR-1), contains two double-stranded RNA-binding motifs (dsRBMs) and interacts with highly structured RNAs as well as the dsRNA-activated protein kinase (PKR). The DZF dimerisation domain form an oblong structure with a flat face on one side and a curved face on the other. 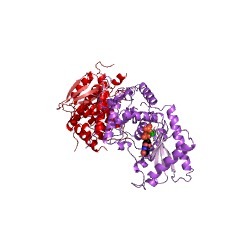 The DZF domain is bipartite and characterised by an N-terminal mixed alpha-beta region that contains a central anti-parallel beta-sheet and a C-terminal alpha-helical region. The overall structure has a pseudo two-fold rotational symmetry. 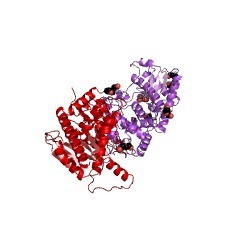 The central beta-sheet forms the base of a cleft between the N- and C-terminal halves while dimerization is mediated by the alpha-helices at the C terminus [(PUBMED:22833610)]. There are 2259 DZF domains in 2259 proteins in SMART's nrdb database. Taxonomic distribution of proteins containing DZF domain. This tree includes only several representative species. 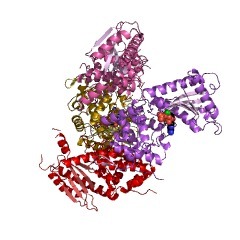 The complete taxonomic breakdown of all proteins with DZF domain is also avaliable. Click on the protein counts, or double click on taxonomic names to display all proteins containing DZF domain in the selected taxonomic class.